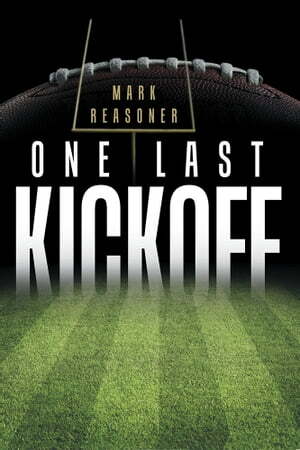 Collins Booksellers - One Last Kickoff by Mark Reasoner, 9781458216441. Buy this book online. Being a player in the NFL has its drawbacks. For the average player, his career only lasts about four years, and sometimes, lives are ruined by injury. Kickers have more longevity and can survive up to fifteen years. However, even kickers must eventually admit their days in the football spotlight have come to an end. Kicker for the Indianapolis Colts—Matt Ridgeway is nearing the end of his career—he just doesn’t know it yet. When draft season comes around, his team picks Clay Dinsmore in the second round. Clay is a star kicker out of Purdue and Matt must face a new reality. Twenty years ago, Matt was the young upstart who showed up ready to kick the competition “all the way to Detroit.” This time, another youngster will try to do the same. Questions arise: is it time for Matt to call it quits? His wife waits in the wings, ready to take over his life, as his father-in-law offers him a job away from the NFL. Even his oldest friend—the kicker whose job Matt once stole—is telling him to step down. For Matt, though, football is life; it’s all he’s ever known. What’s a guy to do when his path hits a dead end?